Without a doubt, microwave ovens are an indispensable part of the modern kitchen, making cooking quicker and more efficient than ever before; however, microwave ovens have also come a long way since they were first introduced to homeowners. A basic microwave will come with basic heating functions for already cooked food or drinks; however, with today’s variety of options, you might even want to consider features like defrosting and power level. Defrosting is a great way to thaw packaged frozen food and meat, while the power level will affect how quickly the food is warmed up. 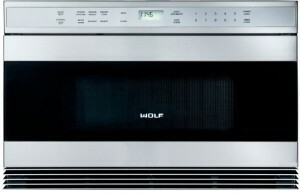 In most mid-range microwaves, there is actually an oven mode, which allows you to cook your food, rather than microwaving, which can dry the food out. Not only that, but you will also be able to use a small dish, rather than waste more energy by heating up a main one. Microwaves come in a range of sizes so that they are able to fit in small or large kitchens, usually ranging from 13 to 35 liters. Power levels will also sometimes differ, therefore, this can determine the length of time you will need to heat up certain types of food. Not all microwave ovens are created equal, so be sure to consider these factors before finally deciding on which microwave is best for your needs and the size of your kitchen.